"The young lawyer population continues to grow in Florida, and with that growth comes added issues and responsibilities for myself and my fellow governors to address. I am honored to serve another term to analyze these issues and responsibilities on behalf of our hard-working, committed constituents” said Elms. Elms joined Fisher Rushmer, P.A. as an Associate in 2011. He practices primarily in the areas of personal injury, insurance defense, and employment litigation. 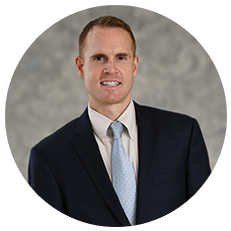 As a former claims manager for a Fortune 200 company, and now a civil trial attorney, Elms has handled insurance matters from start to finish. Elms has also been listed as a Rising Star in the area of Civil Litigation Defense since 2015, and has been routinely recognized by the Florida Supreme Court for his pro bono work since 2014.